Guiliana makes a major impression on Tunisian oud virtuoso Youssef’s 2010 release, featuring bassist Chris Jennings and piano star-in-the-making Tigran Hamasyan. This live video from the 2010 Jazz Sous les Pommiers festival captures their otherworldly musical telepathy. 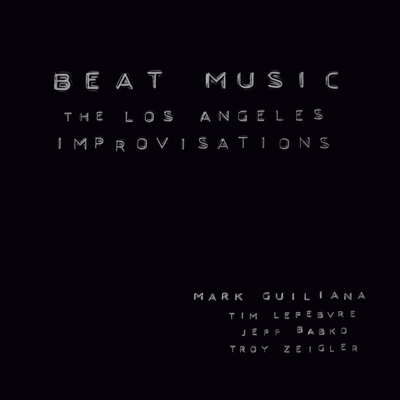 Guiliana’s deep connection to the beat making genius of artists like Aphex Twin and Squarepusher comes together in this improvised project featuring keyboardist Jeff Babko, bassist Tim LaFebvre, and electronics whiz Troy Ziegler. Guiliana’s most recent album with his ever-evolving Jazz Quartet is clearly his most personal, featuring pianist Fabian Almazan, saxophonist Jason Rigby, and bassist Chris Morrissey, who penned this evocative track. This past summer the Montreal Jazz Festival featured drummer Mark Guiliana in its Invitation series, presenting three different projects over three nights at the Church of the Gesù.